Ramaninder has graduated from the Department of Computer Science and Mathematics of Georg-August University, Germany and currently works with a Big Data Research Center in Austria. He holds M.Sc in Applied Computer Science with specialization in Applied Systems Engineering and minor in Business Informatics. He is also a Microsoft Certified Processional with more than 5 years of experience in Java, C#, Web development and related technologies. Currently, his main interests are in Big Data Ecosystem including batch and stream processing systems, Machine Learning and Web Applications. In this tutorial, we will go through and introduce another component of the Apache Hadoop ecosystem that is Apache Nutch. 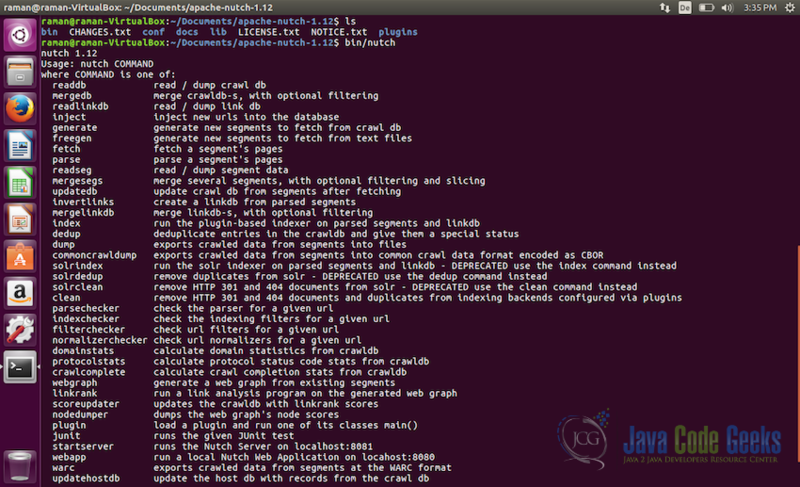 Apache Nutch is a Web crawler which takes advantage of the distributed Hadoop ecosystem for crawling data. 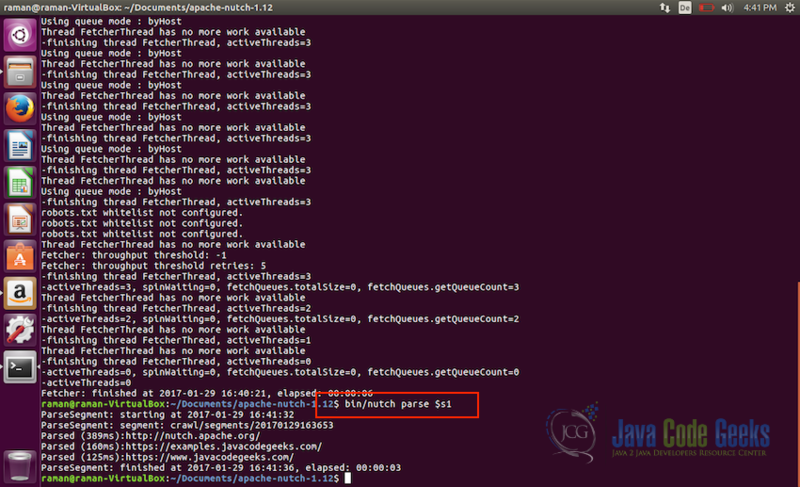 Apache Nutch is a production ready web crawler which relies on Apache Hadoop data structures and makes use of the distributed framework of Hadoop. Nutch follows the plugins structures and provides interfaces for many of the popular components which can be used as per the requirement. For example, Interfaces for Apache Tika for parsing, Apache Solr, Elastic Search etc for search functionalities. 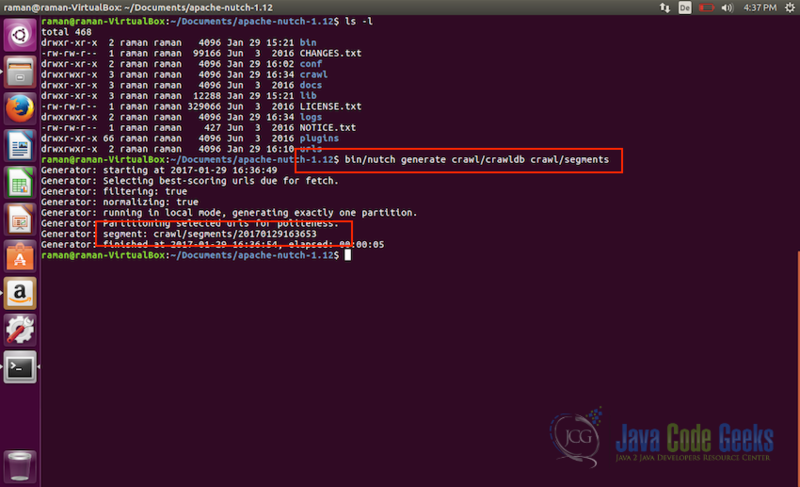 In this tutorial, we are going to learn how to configure the local installation of Apache Nutch, how to handle the crawling URL lists and how to crawl using Nutch. Let us dig straight into the installation. 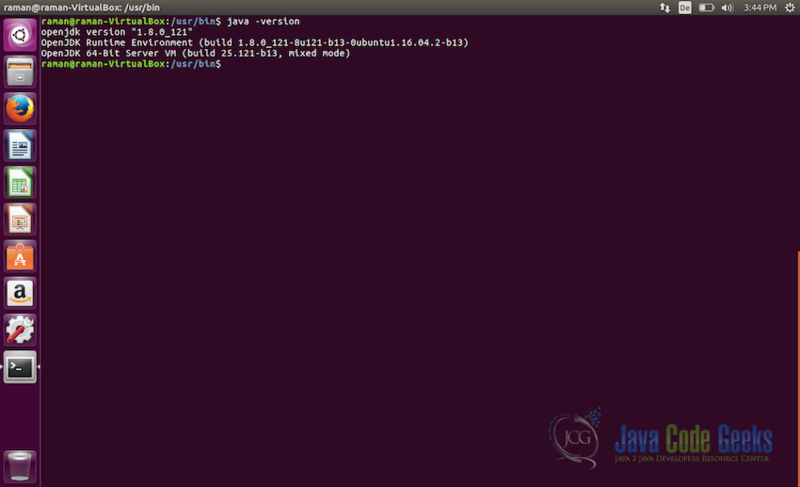 Unix system or if you want to use windows then make sure it have Cygwin environment setup. 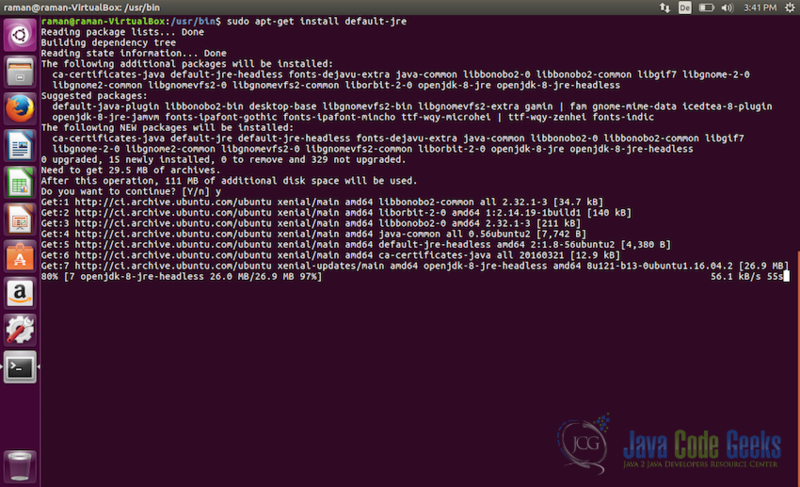 Note: Make sure to use the actual path in the above command, where the java is installed in your system. It should be in /usr/bin/java but there is no harm in making sure. 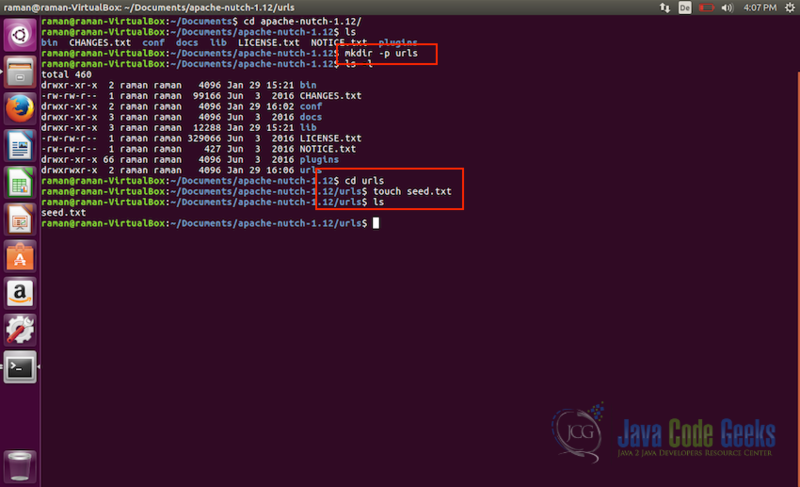 Apache Nutch can be installed by downloading either the binary distribution or by downloading source distribution and building it. 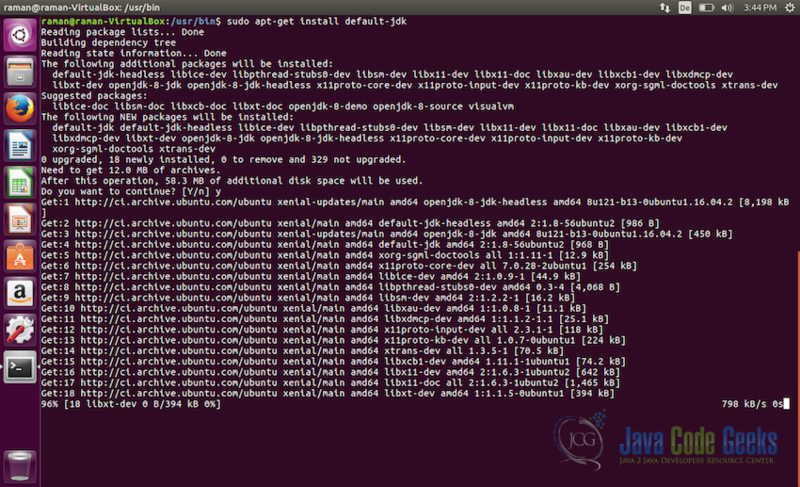 We will use the binary distribution to install Apache Nutch. 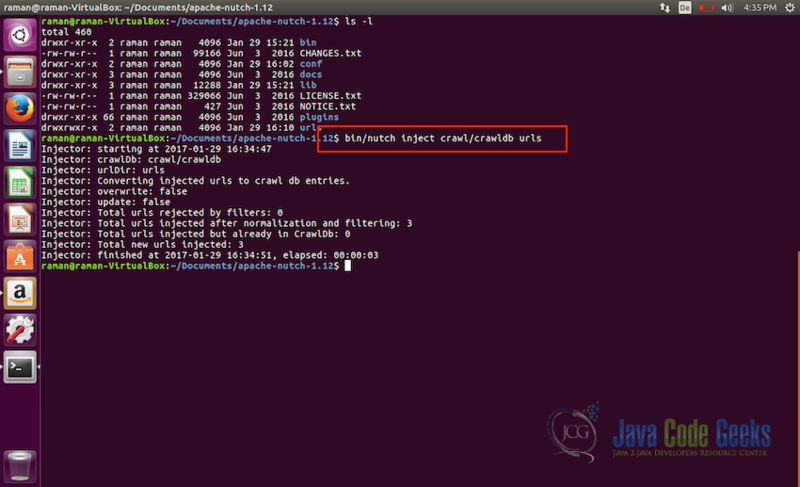 Once we are sure that Apache Nutch is downloaded and extracted properly, we will not see how to conjure it and how to crawl out very first URLs. 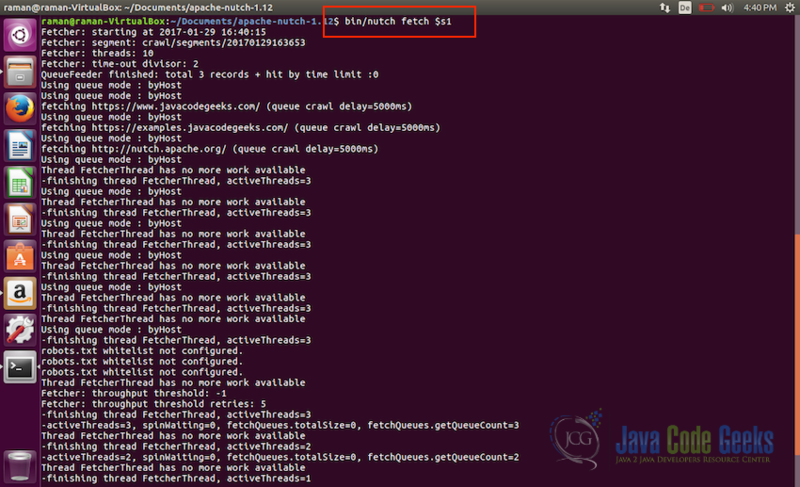 The default properties of Apache Nutch are stored in conf/nutch-default.xml file. We do not need to touch any of the configuration in that file. 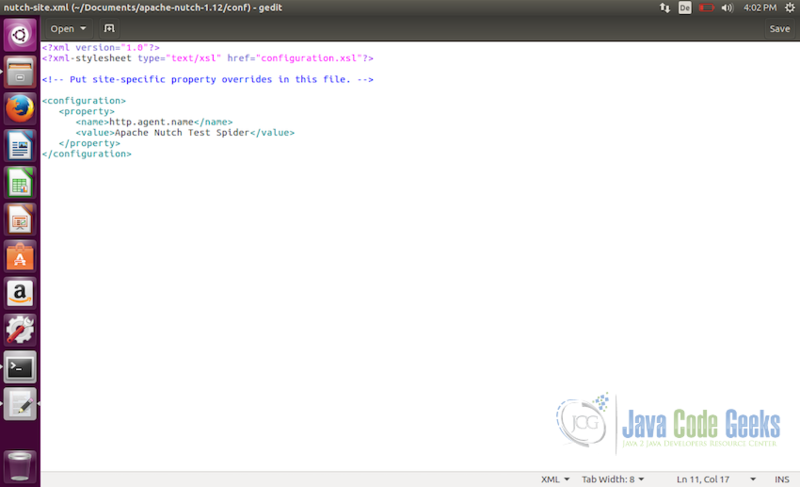 There is another file nutch-site.xml, we can add the configuration we need in this file and this overwrites the configuration properties in nutch-default.xml. For starting, the only basic configuration we need is to set the name of the crawler so that the website can no the name of the crawler which is trying to crawl them. To do so, open the file nutch-site.xml and add the property http.agent.name and in the value field, give the name to the crawler. 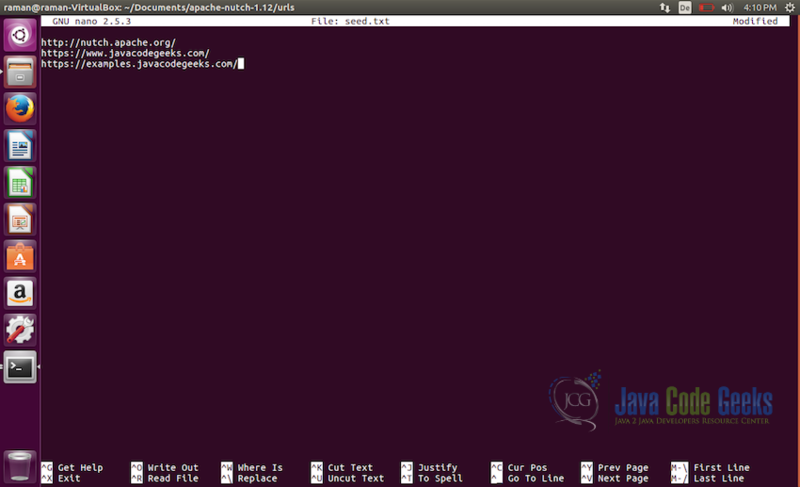 URL seed list as evident from the name is the list of URLs which will be used as the seed for the crawler to start crawling. Lets edit the file and add some seed urls to be used by the crawler. We have configured the crawler and created the seed list, its time for crawling. 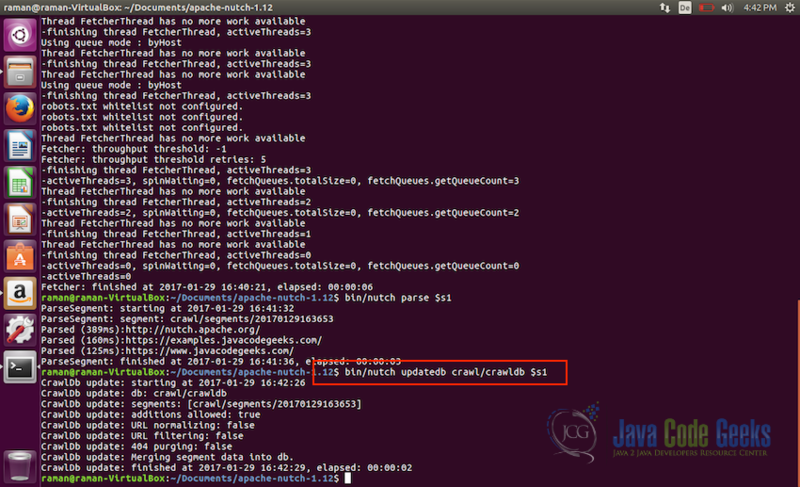 This fetch list will be placed in the segment directory with the timestamp as the name of the directory. In the screenshot above, the second red box shows the name of the segment directory created. For ease of use for us, let’s create a shell variable with the path to the segment to make it easy to run commands on that. This brings us to the end of the introductory tutorial on Apache Nutch. 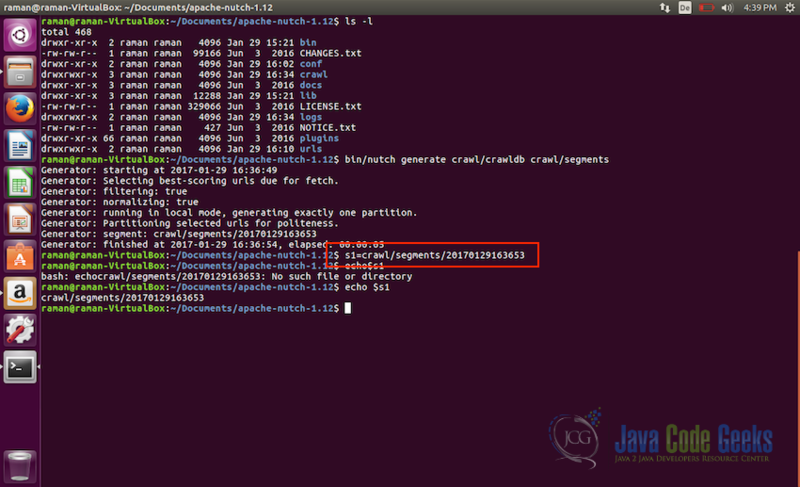 In this tutorial, we saw how to install and configure Apache Nutch. How to prepare the seed for crawling and how to crawl out first test websites. This crawled resultant database after this can be indexed in Apache Solr and can be made available for use. 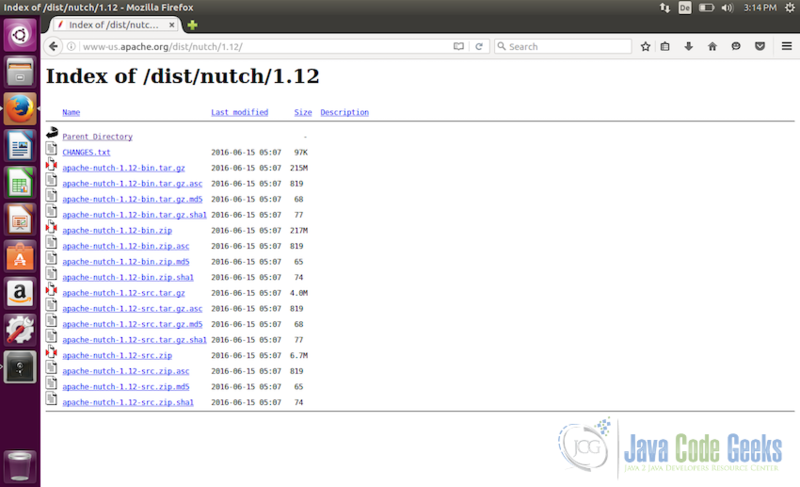 For that, check out the Apache Nutch official website for the tutorial on Nutch-Solr Integration. 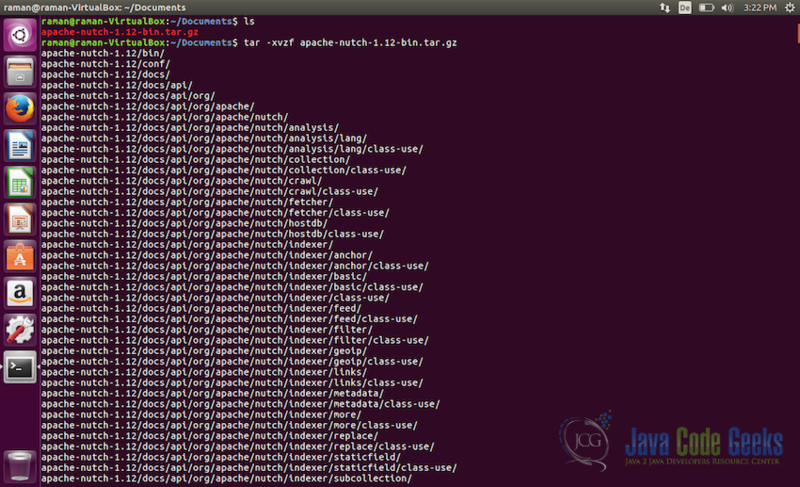 Keep in mind that this is just and introductory tutorial and we have just scratched the surface here, Apache Nutch is much more capable and complex and will need a lot more configurations and setup to run in production environment. I hope this tutorial helped in giving the introduction to Apache Nutch and how it can be used for crawling. Feel free to post a comment in case of any feedback or help. what if i want to use nutch for crawlinG e-commerce sites?